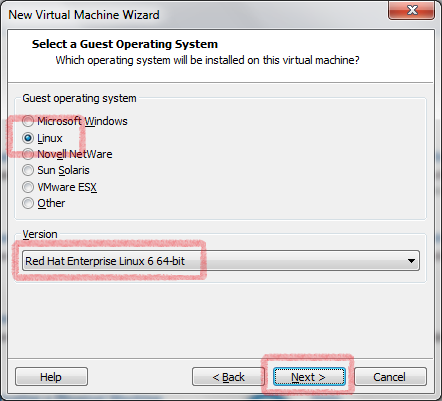 In this tutorial, I am going to walk you through a simple and efficient way of installing RHEL (Red Hat Enterprise Linux) as a Virtual Machine using VMware Workstation. 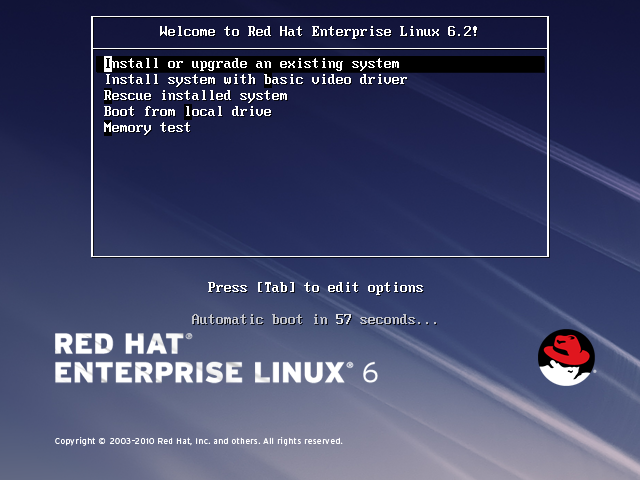 Here, I will be using RHEL 6.2 as the guest OS, but these steps should be more or less similar for RHEL 6 - 6.3 and even CentOS 6 - 6.3. You can substitute VMware Workstation with any other Desktop Virtualization product of your choice, such as Virtual Box, VMware Player etc. 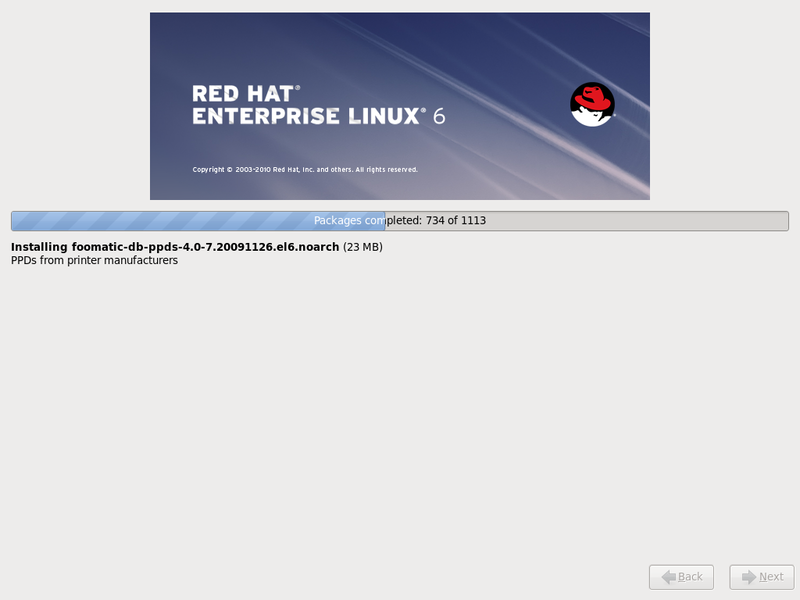 You can download the latest release of RHEL Desktop / Server FROM HERE. 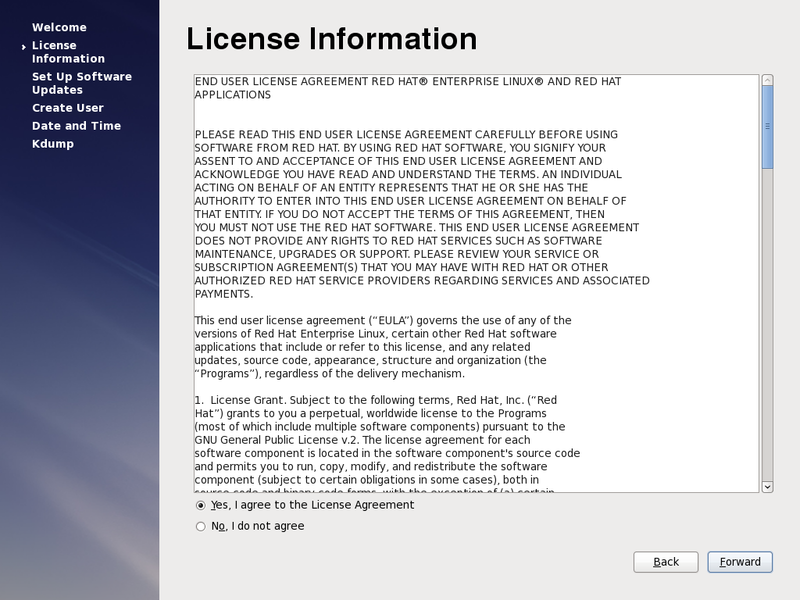 NOTE: You will need to register a account with Red Hat before downloading a 30 day evaluation of RHEL. You can download a 60 day evaluation of VMware Workstation as well FROM HERE or go for the free version called VMware Player HERE. 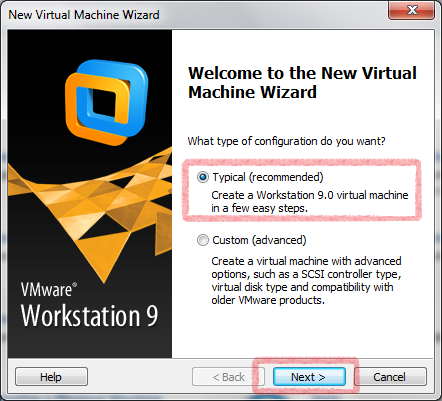 Launch VMware Workstation and select the option "Create New Virtual Machine". 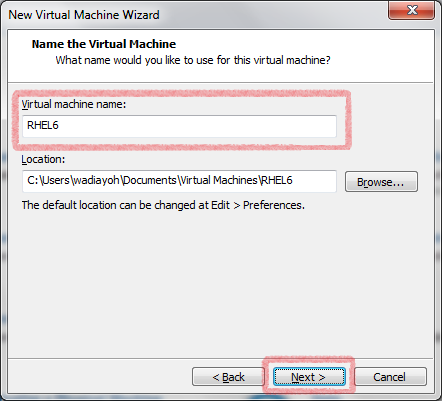 This will pop up a "New Virtual Machine Wizard" as shown below. 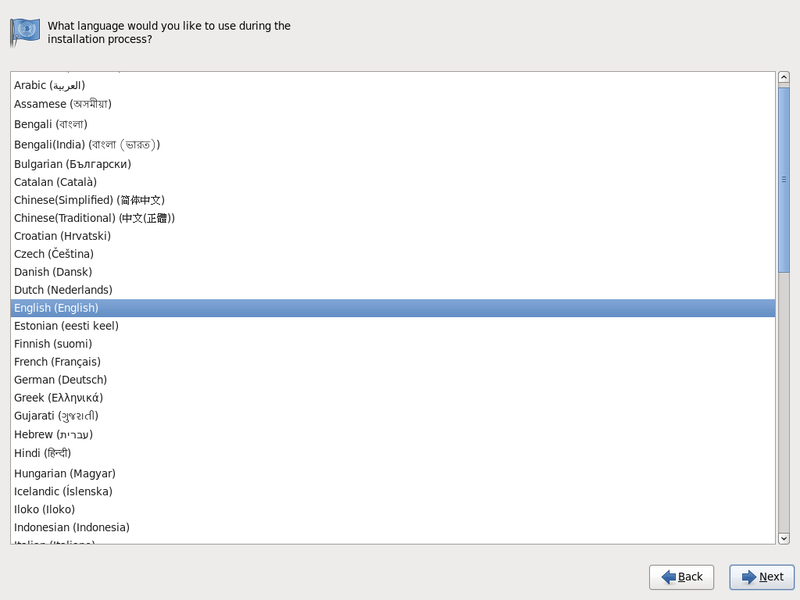 Next, select the option "I will install the OS later". 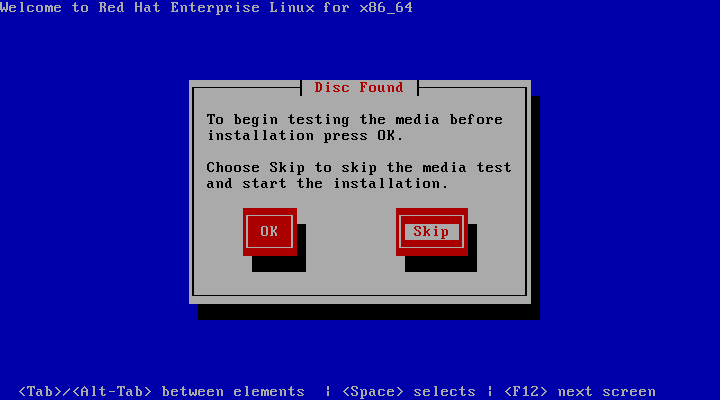 You can alternatively select the RHEL ISO in the "Installer disc image file" option, but this will then lead to an automated install of your RHEL OS. In this case, we are going to install the OS manually, hence the later option. Provide a suitable size for your VM's Hard Disk. In this case I have provided it 20 GB. 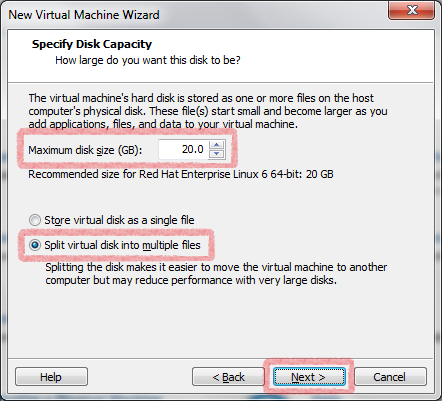 You can optionally choose whether you want to store the Virtual Disk as a single file or split into multiple files as well. Once done, you are now ready to start your VM. Click Finish to begin the installation. 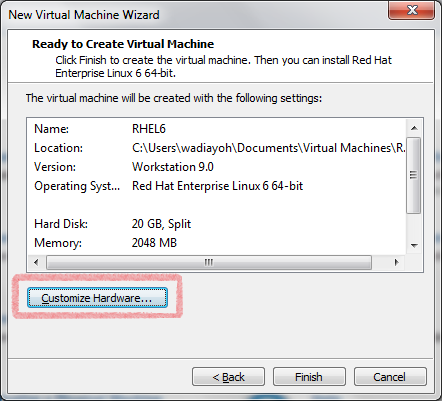 If you want to further customize your VM, like adding more virtual RAM and CPU or adding more network cards then you can select the "Customize Hardware" option as shown. 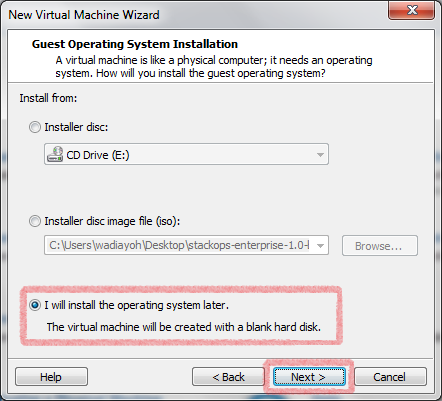 Once your VM is setup, we can now proceed with the Guest OS i.e. 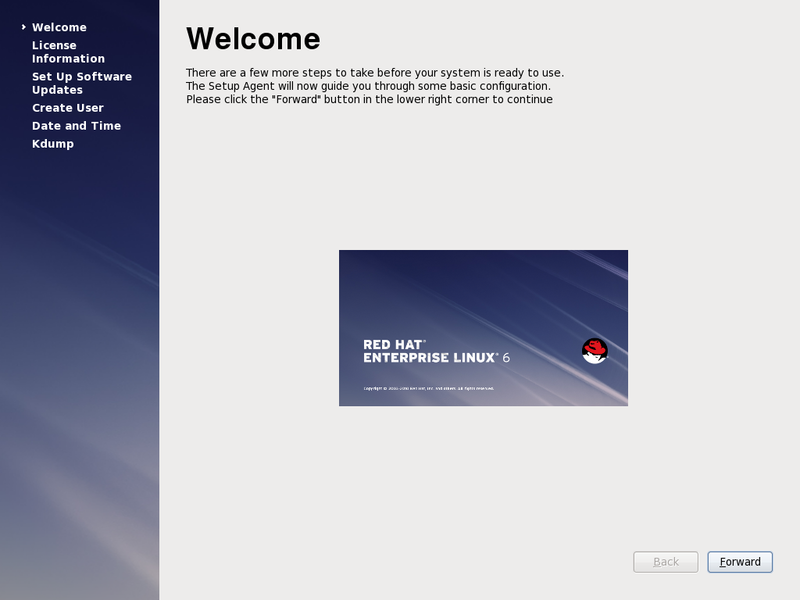 RHEL 6.2 installation. 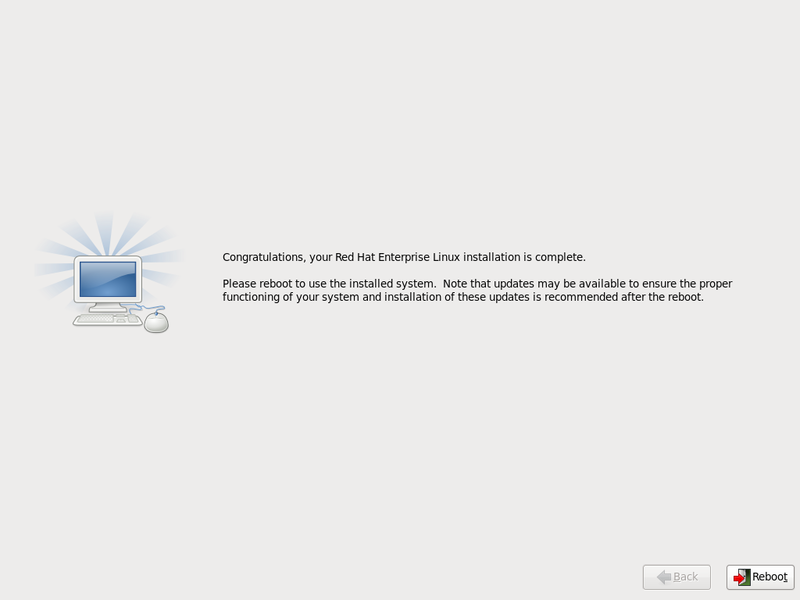 When your VM boots up, select the option "Install or Upgrade an existing system" as shown. 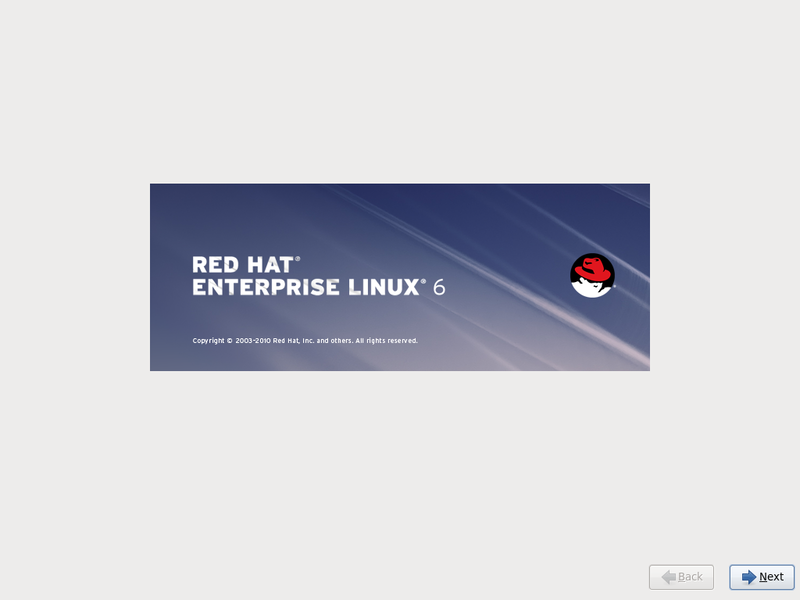 You will now see the Red Hat Enterprise Linux Welcome screen. Hit Next to continue. In the next screen, select "Basic Storage Devices" as shown. You will be prompted a warning to format your Hard Disk. Select "Yes, discard any data" to continue. 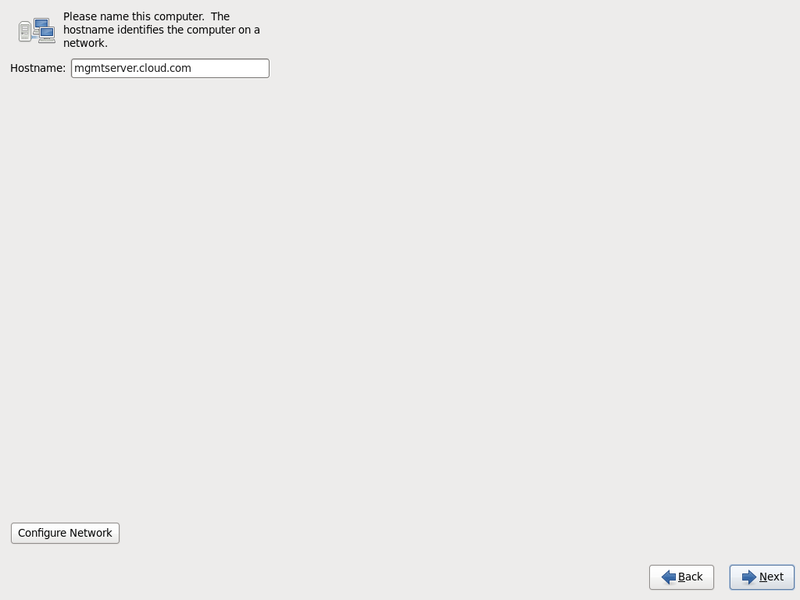 Provide a suitable "Hostname" for your OS. 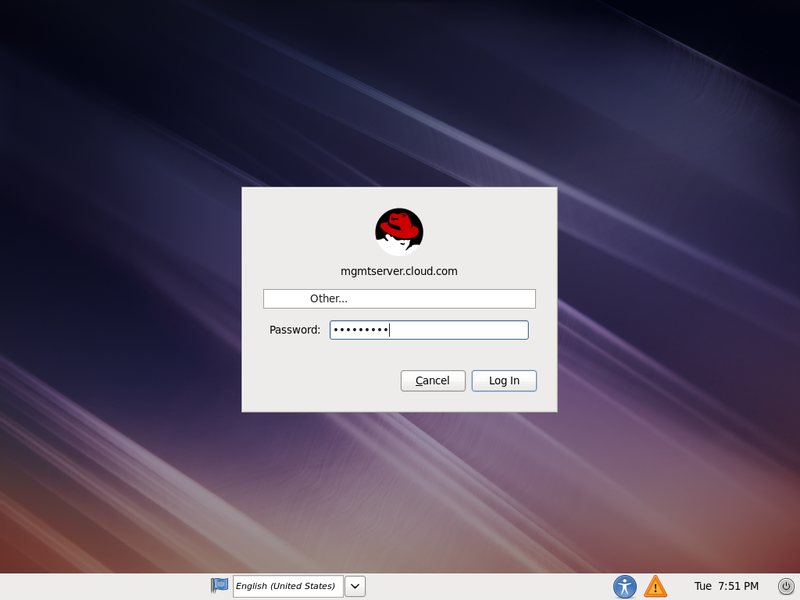 Provide a strong "root password"
In the next screen, you will be prompted to select the type of partitioning you want for your RHEL OS. Depending on your requirements select the appropriate "Partitioning" technique. In this case, I have gone with a "Use all Space" option. A warning will pop up stating that you will now be writing the partition to your disk. 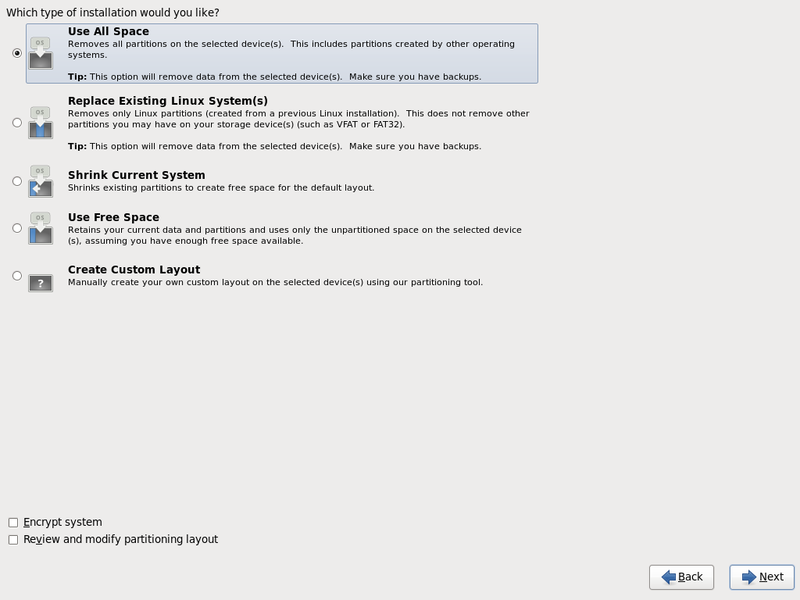 Select the option "Write changes to Disk"
Select the type of RHEL system you want this particular OS to be. By default, "Basic Server" is selected. This will provide you a terminal to carry out your tasks. To make things simple, I have selected the "Desktop" option. This will provide us a full Desktop UI to work with. 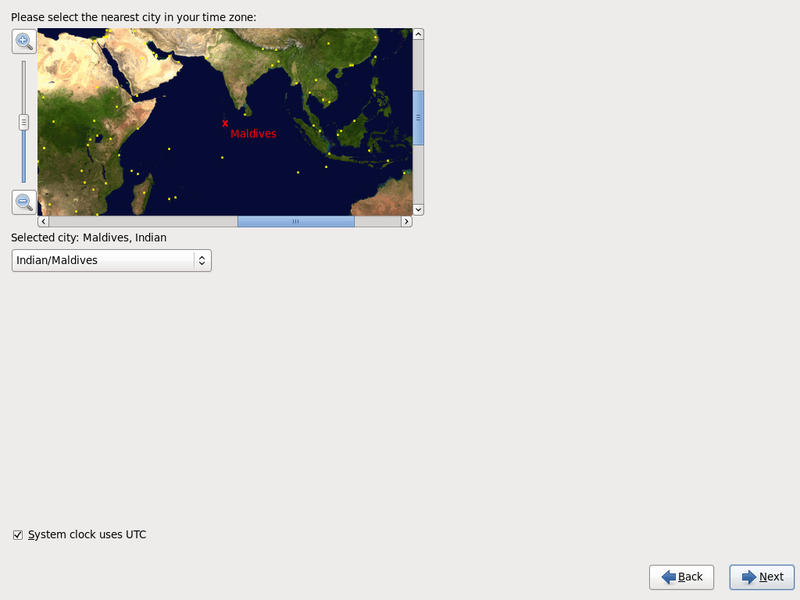 Once you click Next, the necessary RPMs will be installed on your VM. This step takes about 5-6 minutes to complete. 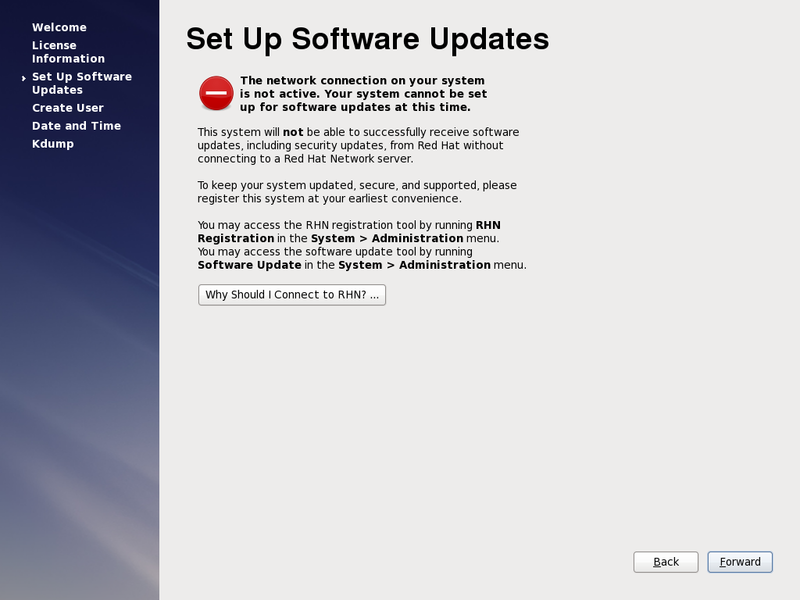 Once your OS is installed, you need to "Reboot" your VM as shown below. Once your VM reboots, there are just a few small formalities that you still need to get through before you start using your RHEL OS. On the Welcome screen, click Forward to continue. 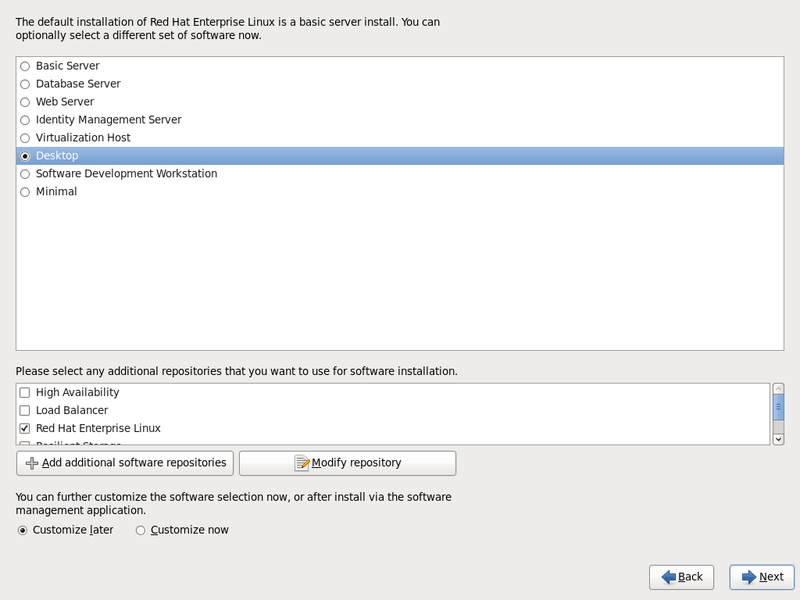 You may be prompted to connect to Red Hat's RHN for getting regular updates and packages. You can set this up later as well if you wish. 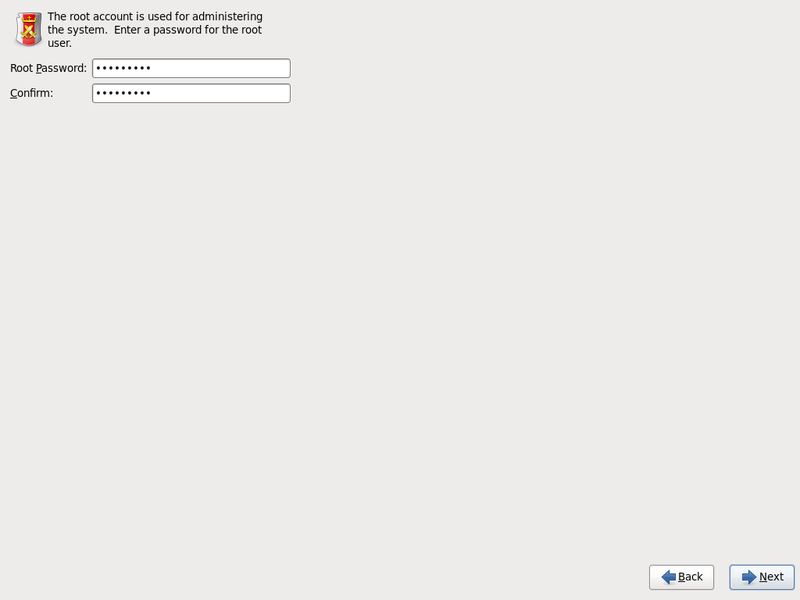 Create a "User" account as shown below. Ideally, its not advised to log in as a root user. 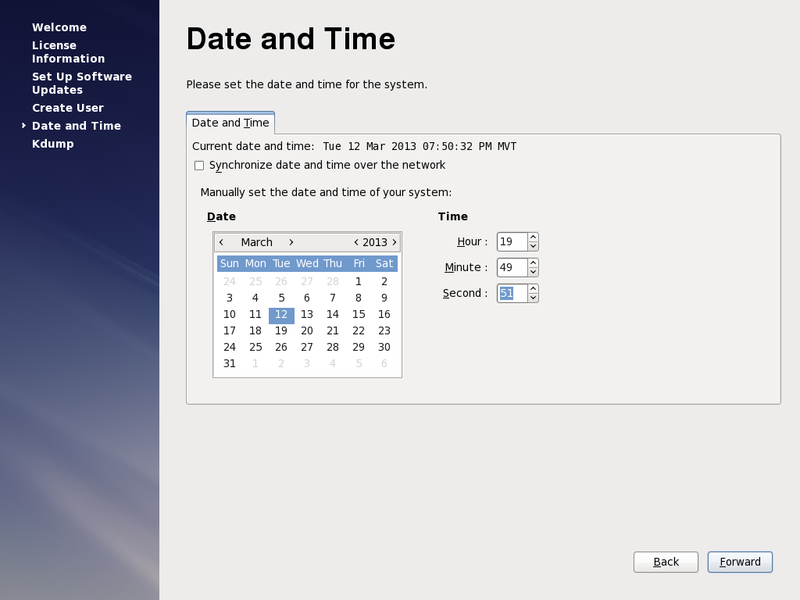 Set the "Date and Time" for your RHEL OS as well. 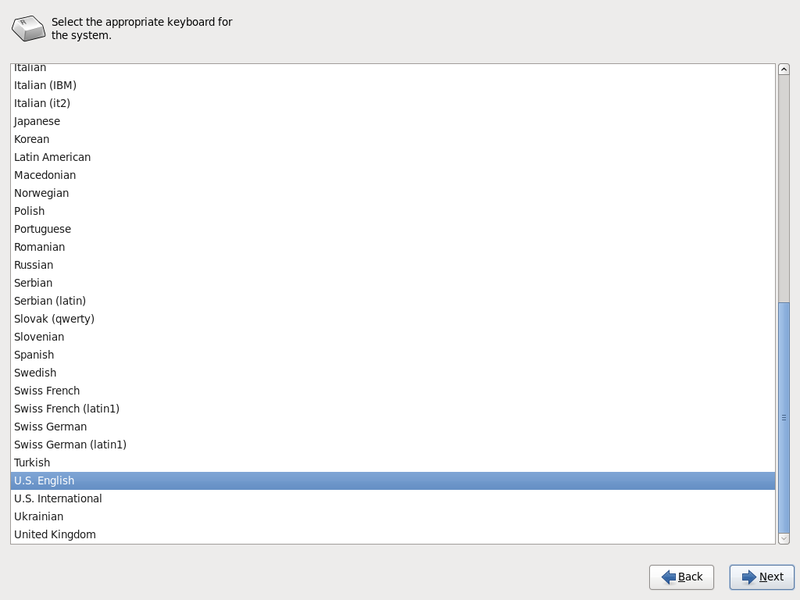 Optionally, you can even set the "Kdump" for your newly set up RHEL OS. 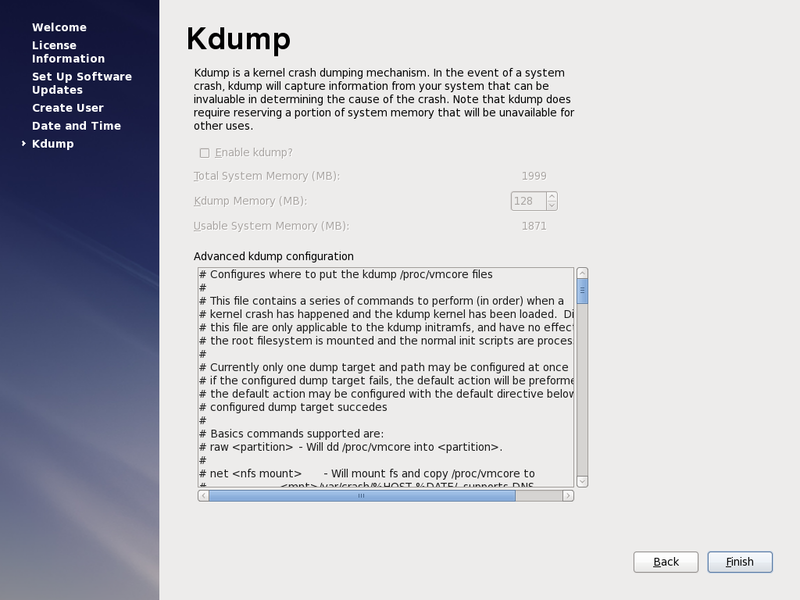 Kdump is a kexec based crash dumping mechanism for Linux. Once all your settings are done, click "Finish" to complete the set up. 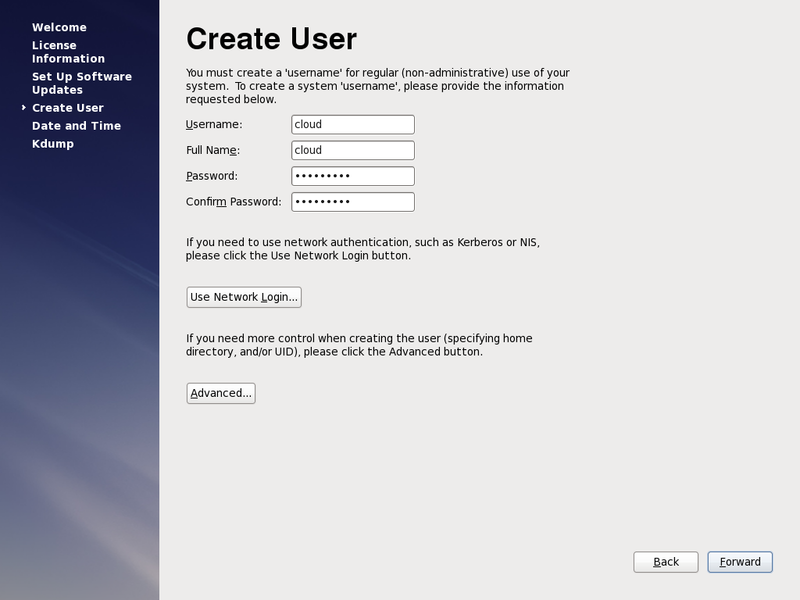 Log in using the account you created in the earlier step or as root. NOTE: logging on to your OS as root user can be risky and its generally not a good practice as well. You at your own risk. And there you have it. 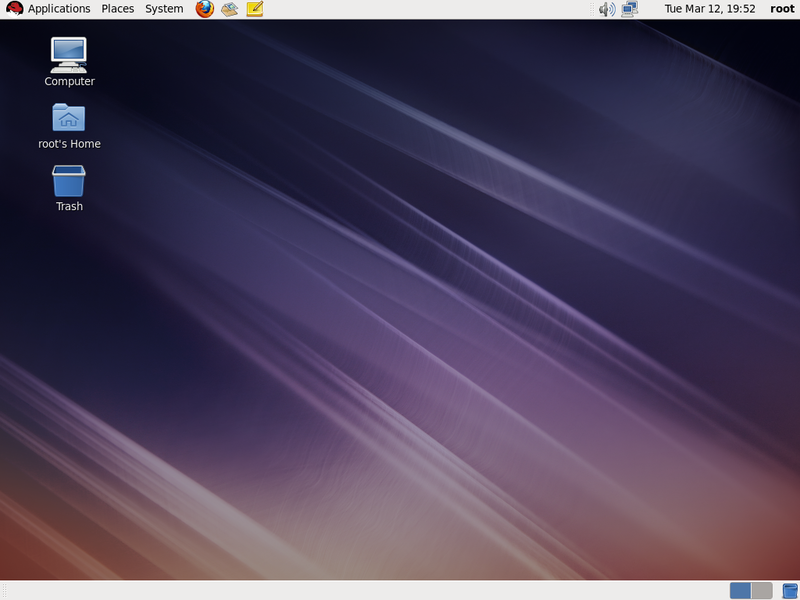 A RHEL 6.2 Desktop system ready for use.